Description BIPL 2.1 Home Theater Multimedia Speaker Category : BIPL Multimedia Speaker & BIPL Speakers. Specifications: 2.1 channel Speakers, Output Power = 20W 10Wx4(RMS) Freq. 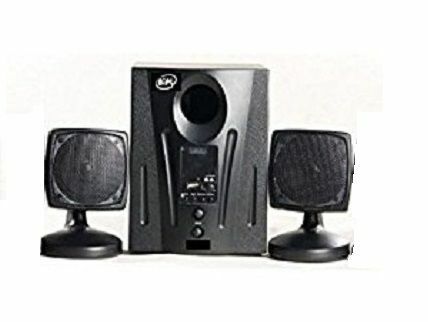 Response = (30Hz~20kHz) S/N Ratio => 70db Separations => 50db Power Supply : AC 230V/50Hz Product Features: BIPL Home Theater Multimedia Speaker : B2211 Type : 2.1 I/O PORTS : USB, Aux In, Audio Out, FM Radio Applications : for DVD, CRT/LED TV, Computer, Laptop, Mobile Phone, mp3 Players etc. Remote Control Options : Yes, Full Remote Controlled with key and Bass options. GENERAL Brand BIPL Channel 2.1 Player Type USB FM Player Model Number B2211 Supported Device PC Speaker Type Home Cinema Type 2 Satellite Speaker and one Sub-buffer Technology Used BIPL Home Theater System IN THE BOX Main Unit, Remote Control, 2 Satellite Speakers, Aux wire . Main Woofer, 2 Satellite Speakers, Remote, Aux cable.